Here is a 6v6 volleyball drill that can involves more that just 12 players. The drill can easily be re-designed to meet a variety of objectives. Coach Forman is currently the assistant volleyball coach at Midwestern State University. 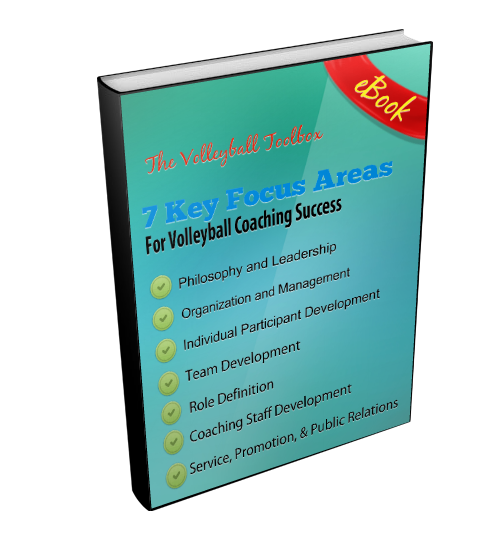 Before that he was the Head Coach of the professional women’s team at Svedala Volleybollklubb in Sweden. He also coached at Rhode Island and Brown University. Synopsis: This is a 6 on 6 drill/game that you can use to keep many players active and not sitting out for long periods of time. Execution: Set up one side of the court with a team of 6. The rest of the players are on the other side. Six are on the court, with the rest ready to come in. The 6s side serves and the teams play out a rally as normal. 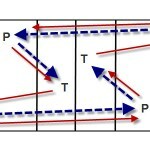 On the next serve, a new player serves and bumps the player or players in their position. For example, if an OH serves, they bump the current back row OH up to front row, and the front row one goes off to become a server. Thus, a new player comes in at the start of each rally, and one goes off. If you want your pin hitters to attack both on the left and on the right, they can do something like a middle back to left front to right front rotation. You can fix certain positions, for example setter. You can can have certain positions rotate separately without serving, for example middles. If you have enough numbers, you could do the same substitution pattern, or about the same, on both sides of the court and make it 6s vs 6s. This drill is something you can use in a situation where you want to work on your starting rotation, or if you want to work on certain serve receive rotations. You don’t have to score the play if you don’t want to, but there are a number of ways you can use scoring. In the most basic way you can play games to X number of points as an indication of when to change things up on the 6 side – be it turn the rotation or swap out players. If there’s something specific you want to work on, you can use some kind of bonus point scoring.